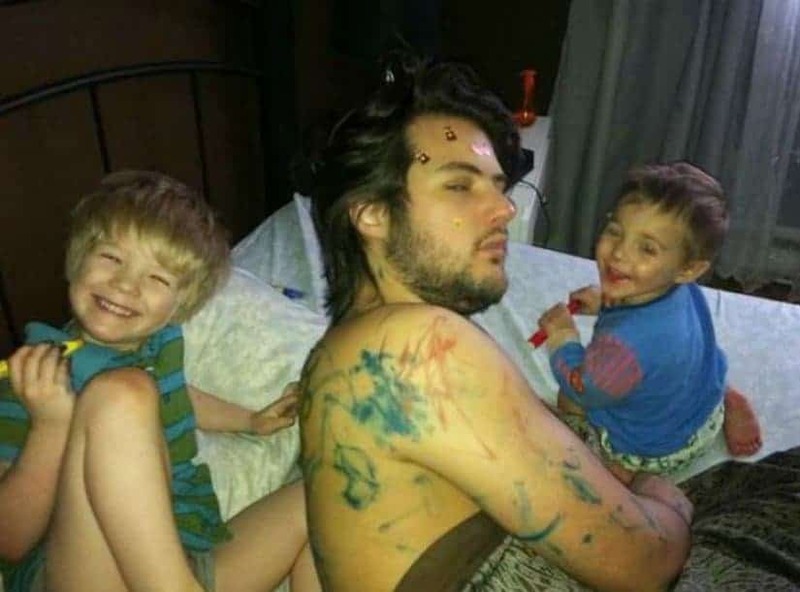 This dad was too quick to fall asleep. 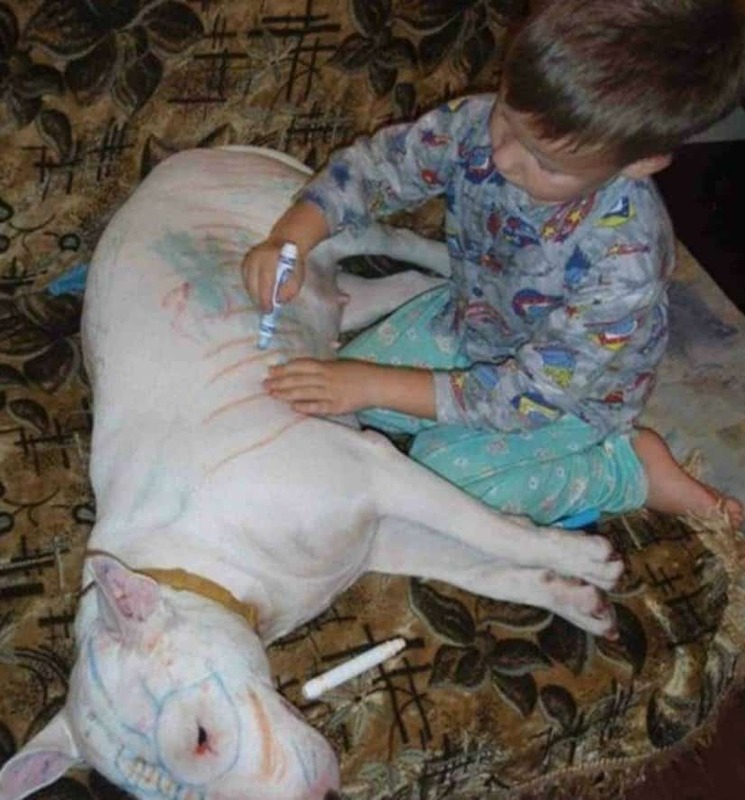 He’ll wake up with brand new tattoed legs. 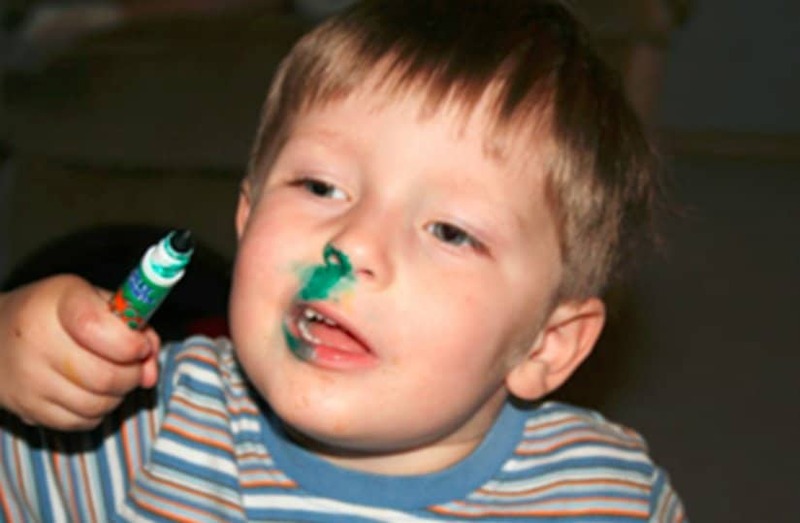 You’d better not buy your children smelly markers, because they might sniff them a little too much! 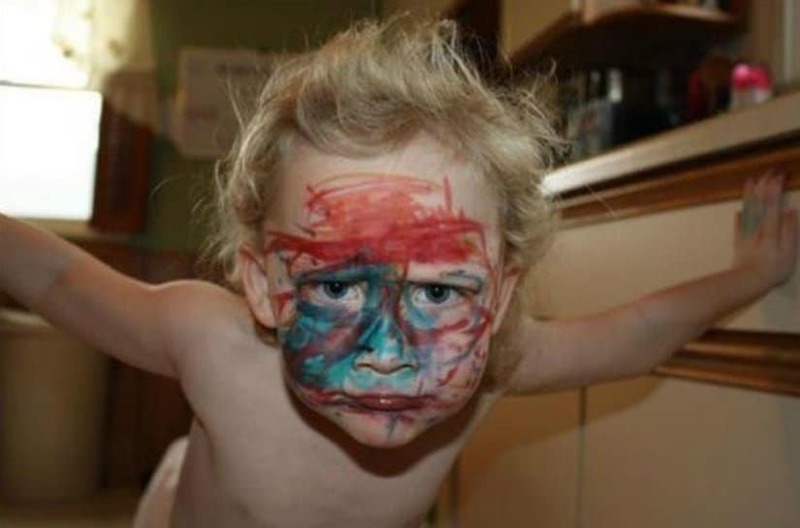 This child decided to make himself an extreme face makeover with the help of a few markers. 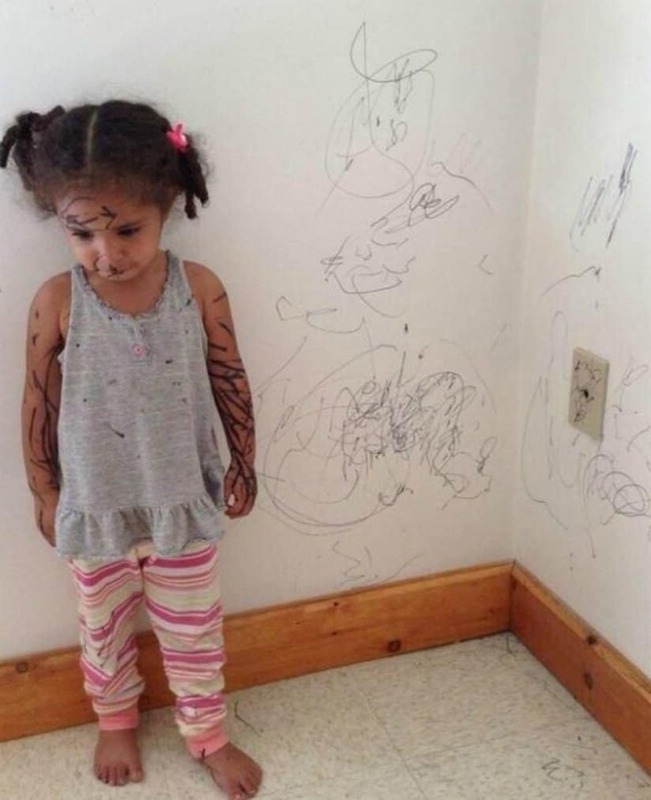 This kid already know what she has done. Guilty as charged! 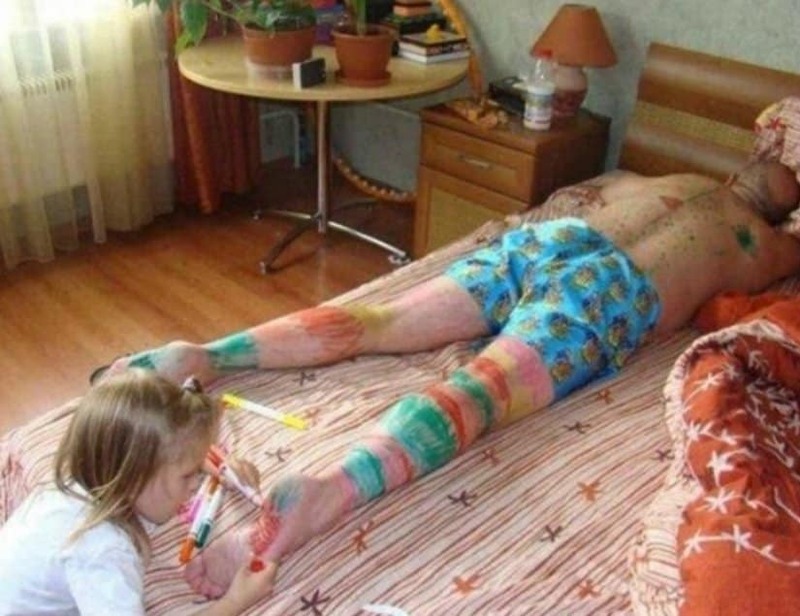 This dad might as well get a Dad of the Year award for his extreme patience. 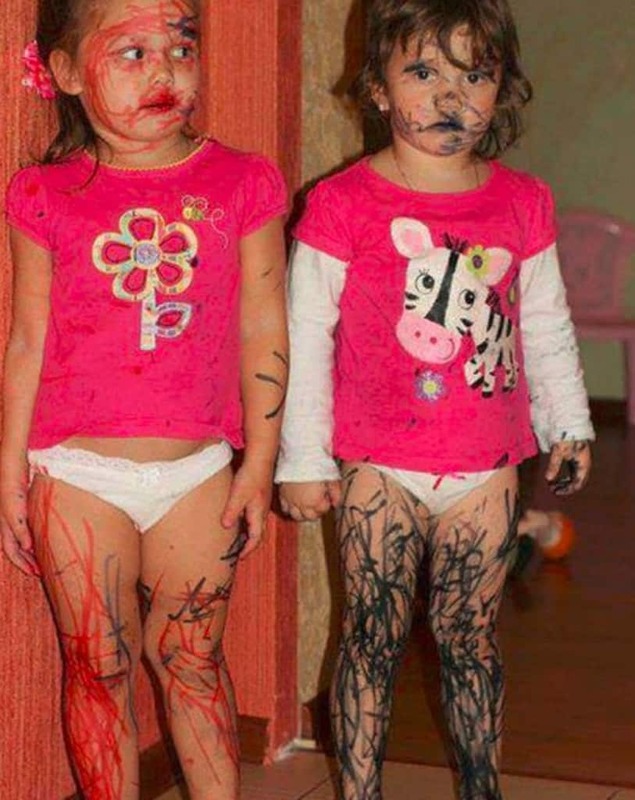 Armed with markers these two kids expressed their artistic veiws about what beauty should be. 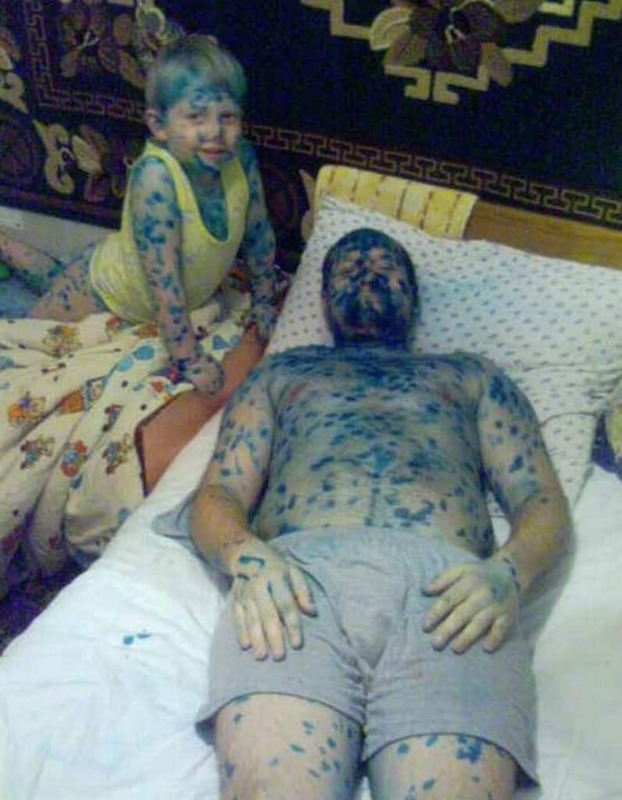 This child made his dad look like a leopard by putting colorful spots all over him. 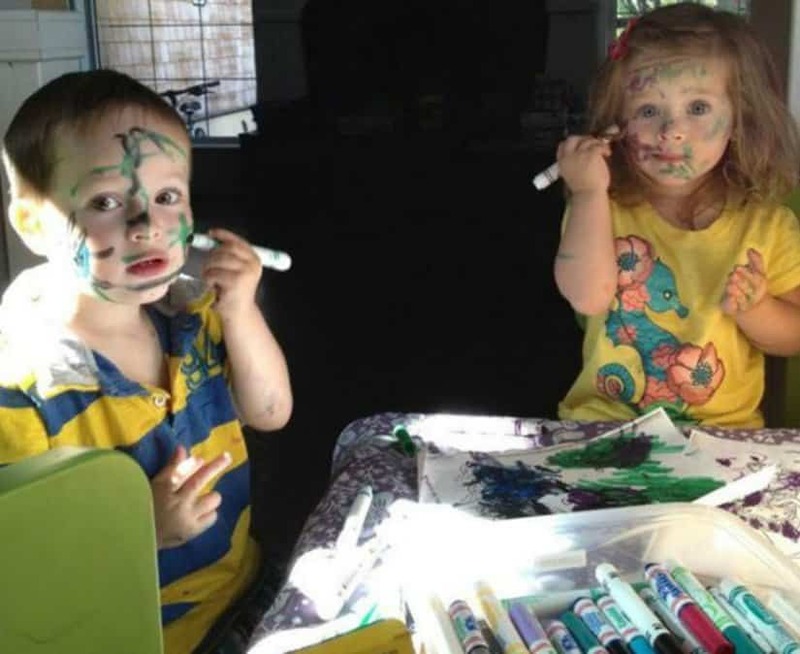 The paper wasn’t enough for these kids, so they decided to do up their faces with markers instead.